Hisashi's voice, with a register of nearly four octaves, is truly amazing and one of a kind. 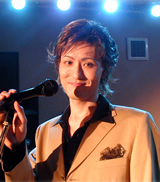 He started singing professionally when he was a student at jazz clubs and American army bases in Japan. Now he is an experienced recording and touring artist as well as a music writer for films, theater and adverts. 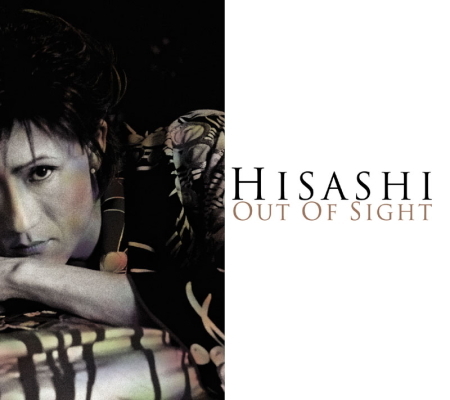 "Out of Sight" opens with a cover of a 70s song by Yoshida Minako, a singer-songwriter he adores. Other songs include his originals, a collaboration with a fellow musician and covers of 40s standard jazz. It was recorded live without using overdub technology. This simplified approach brought an anachronistic but fresh feel to the record. 3. What should I do? How should I be? 作詞：Bille Holiday＆Arthur Herzog Jr. 作曲：Bille Holiday＆Arthur Herzog Jr.